We’ve said it before, and we’ll say it again: The human brain is amazing. In the words of neuroscientist Vilayanur Ramachandran, it’s a “three-pound mass of jelly you can hold in the palm of your hand,” but it can “contemplate the meaning of infinity, and it can contemplate itself contemplating on the meaning of infinity.” As it’s the most complex organ in our bodies, you can bet there’s no shortage of strange stories about the human brain. Here’s a story with all the makings of a Gothic novel, complete with a mental hospital, human organs, and a ghoulish grave robber named David Charles. Charles didn’t actually dig up any coffins, but he did break into the Indiana Medical History Museum on several occasions. From the 1840s right up to the 1990s, the museum was the site of the Central State Hospital, a psychiatric ward that performed its fair share of autopsies. After the bodies were cut up, the brains were jarred and locked away in a warehouse—a warehouse Charles later slipped into repeatedly. After pilfering six jars of human tissue, Charles unloaded his goods to an eBay fence who sold them to a San Diego man for $600. The buyer liked “to collect odd things.” He also had a code of ethics. While he didn’t mind breaking federal law by buying human organs, and while he didn’t care about violating eBay policies on body parts, he did have problems with buying stolen property. Neither Charles nor his eBay middleman had the brains to remove the museum labels from the jars. Figuring something crooked was going on, the San Diego buyer notified authorities. 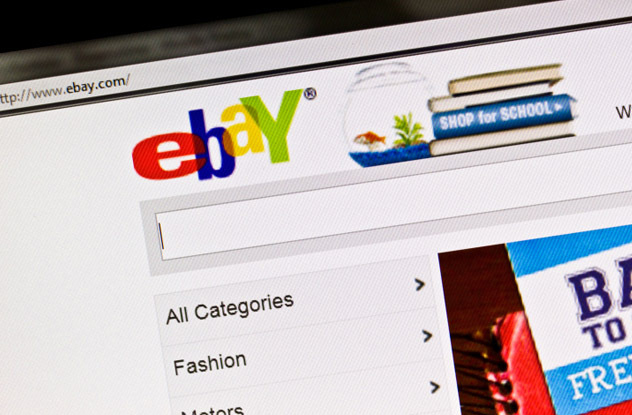 After tracking down the eBay seller, Indianapolis police officers set up a sting operation. The plan was for Charles, who’d recently snatched 60 more brains, to meet up with his eBay buddy at a local Dairy Queen. And on December 16, cops swarmed the restaurant parking lot, successfully bringing down the Indiana Igor. Turn your own brain into an incredible story with Secrets of Mental Math: The Mathemagician’s Guide to Lightning Calculation and Amazing Math Tricks at Amazon.com! Marian Dolishny was dying. Thanks to a fair-sized tumor, he was suffering epileptic seizures, and if he didn’t do something about it soon, he’d go blind. Unfortunately for Dolishny, he couldn’t just visit the local hospital and schedule an operation. It was 2007, Dolishny lived in Ukraine, and due to a labyrinthine bureaucracy and massive underfunding, the healthcare system was a mess. No one could remove his tumor, and things were looking grim when suddenly an elderly British superhero showed up to save the day. One of the UK’s best neurosurgeons, Henry Marsh had been visiting Ukraine at least twice a year since the early ‘90s. After meeting people with massive growths on their heads, Marsh realized he couldn’t fly back home and forget what he’d seen. So he sent disused supplies from his hospital in Tooting to Ukrainian doctors. Even better, he started offering his services free of charge. That’s how Marsh and Dolishny met. But just because the Ukrainian had a great surgeon didn’t mean the operation was going to be easy. Marsh lacked access to the state-of-the-art equipment required for such procedures. However, the best doctors are like musicians—they’re talented, passionate, and can improvise on the fly. 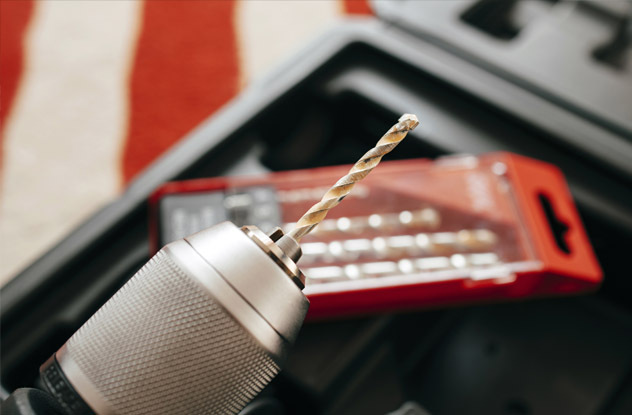 Marsh went to a local store and bought a $67 cordless power drill. He then operated with a gadget you keep in your toolbox. What’s even crazier is Dolishny was awake for the whole thing. No qualified anesthetists were around, so Marsh just used a local anesthetic. And since Dolishny was awake, Marsh talked to him the entire time, making sure he wasn’t screwing up the man’s brain. Before Marsh could finish the procedure, the drill’s battery died. Where a lesser surgeon would’ve panicked, Marsh kept on working, finishing up with his gloved hands and saving Dolishny’s life. Your brain is 60 percent fat, and thanks to all that blubber, it’s the first organ to melt away after you die. That’s why archaeologists find so many skulls but so few brains. 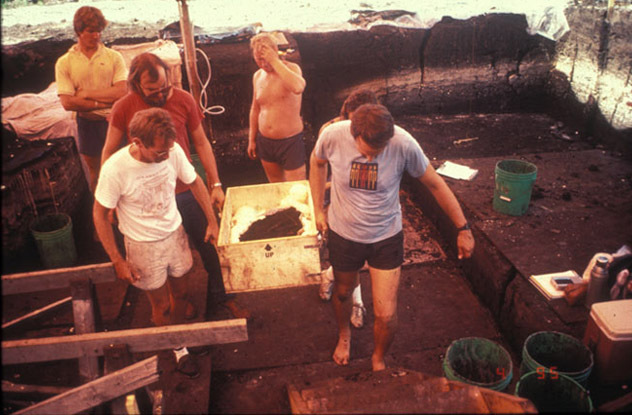 Most of them liquefied long before we could dig them up. But every so often, scientists discover a brain dating back several thousand years. For example, the some of the oldest brain tissue ever discovered, around 8,000 years old, was found in eastern Florida, preserved under thick layers of peat. But while they’re not as old as their New World counterparts, the ancient brains of Europe carry much more interesting stories. Our first macabre tale is the story of the Heslington Brain, the oldest known brain in Great Britain. In 2008, the University of York was expanding its campus when someone stumbled over several pits dating back to the Iron Age. After prodding around, archaeologists found one hole containing a skull, a jaw, and two neck vertebrae belonging to the same deceased Brit. When the skull was opened, scientists found the yellowy, shrunken remains of a 2,500-year-old brain. The muddy environment had kept it safe from decay. Marks on the vertebrae indicate that the body’s owner had been hanged and beheaded, possibly as part of a ritualistic murder. Only slightly less morbid is the tale of the 4,000-year-old Turkish brain found in the Bronze Age settlement of Seyitomer Hoyuk. This brain looks like a charred log someone pulled out of a bonfire. That’s probably because it belonged to an unfortunate Turk who was minding his or her own business when an earthquake wrecked the entire village, bringing down a rain of rubble. Then, a fire broke out, incinerating everything and boiling said brain in its own juices. But while a bubbling brain sounds disgusting, this rapid evaporation of liquid coupled with nutrient-rich soil and elimination of oxygen via the flames ensured this charbroiled organ survived for thousands of years. 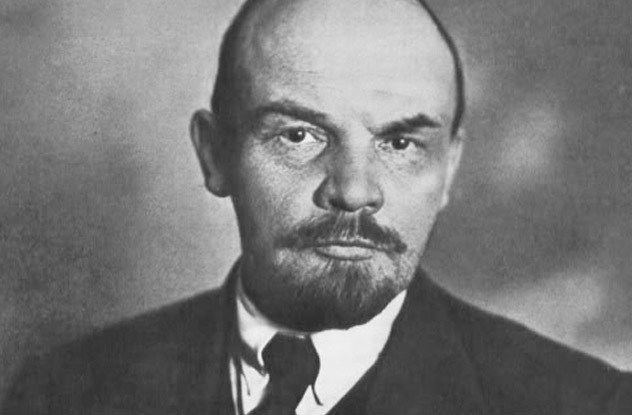 Vladimir Lenin was a prolific writer and a serious philosopher. He also successfully overthrew a government and installed himself as unquestioned dictator. But was he a genius? Soviet scientists certainly thought so. After the Premier died in 1924, Russian researchers were itching to cut open his skull and study his brain. They wanted to show the world Lenin was one of the smartest men on the planet. So after removing the brain, they plunked it in a jar of formaldehyde and stuck it in the V.I. Lenin Institute while they searched for the right expert to examine the organ. Two years later, they decided Oskar Vogt was the man for the job. The only problem was Vogt was German, and the Soviets didn’t want Lenin’s brain leaving Moscow. In a typical Soviet compromise, officials gave Vogt one little sample to take back home. If he wanted to see the rest of the brain, he had to come to Russia. So for the next several years, Vogt visited the Moscow Brain Institute, but some Soviets weren’t too happy with this foreigner fondling their comrade’s cerebrum. Even worse, Vogt was telling people Lenin’s brain resembled a criminal’s. Ticked off, the Soviets planned to fly to Berlin and take back the sliver of brain they’d lent the man, but Adolf Hitler fired Vogt from his position before the Russians could get their sample back. Nobody knows what happened to that little piece of Vladimir’s brain. The Soviets cut the rest up into tiny chunks and dyed the pieces different colors. After the fall of the USSR, Russian scientists released a paper detailing the results of their nearly 70-year-long study. They had found nothing interesting at all. Can you remember where you were on a randomly selected date 30 years ago? Say, the afternoon of September 20, 1985? Assuming you were even alive then, chances are good you’re drawing a blank, but Jill Price remembers that day perfectly. She was wearing a big hat and eating garlic chicken with her dad at one of her favorite restaurants. And if you picked some other random day, she could do the same exact same thing because Jill Price remembers everything. Jill has a rare condition called hyperthymestic syndrome, which gives her a super-powered memory. While scientists are still trying to understand Jill’s mind, they believe her elephantine memory has something do with several areas of her brain that are three times bigger than average. Thanks to her special brain, Jill can remember most everything that happened between her 9th and 15th birthday. And after that? She couldn’t forget anything if she tried. But strangely, if you asked her to memorize a poem, she probably couldn’t do it. Jill’s semantic memory isn’t all that strong, but her episodic memory, the part that remembers personal events and emotions, is perfect. And that’s actually a big problem. Imagine the world as a flat, 2-D panel. There is no depth perception here. When pouring a glass of water and looking from above, you wouldn’t know it was full until the water spilled over. Trees would be nothing more than flat patterns blending into the background. This is the world Bruce Bridgeman lived in for 67 years until Martin Scorsese changed his life. Bridgeman is a neuroscientist at the University of California, and until 2012, he was one of the 5–10 percent of the population suffering from stereoblindness, the inability to see three-dimensionally. In Bridgeman’s case, his impairment was caused by alternating exotropic strabismus. In other words, his eyes wandered around independently. Since he could only focus one eyeball at a time, he could never see out both eyes at once, eliminating all depth perception. Then in 2012, everything changed. Bridgeman and his wife went to see Martin Scorsese’s Hugo in 3-D. Even though it wouldn’t do him any good, Bridgeman bought the glasses and settled in for the picture. And once the film started, images popped out of the screen. Suddenly, everything was vivid and alive. Objects and people actually stood out from the background. Scientists think Bridgeman always had the ability to see 3-D, but his brain just needed a wake-up call. As he stared at the screen for 128 minutes, his eyes focused on the movie, and suddenly his visual cortex just clicked. Obviously, the 3-D movie cure doesn’t work for everyone. Some need corrective surgery, some spend hours in therapy, and others will never see the world in its full glory. Watch Scorsese’s brain-altering ode to the magic of early film tonight! 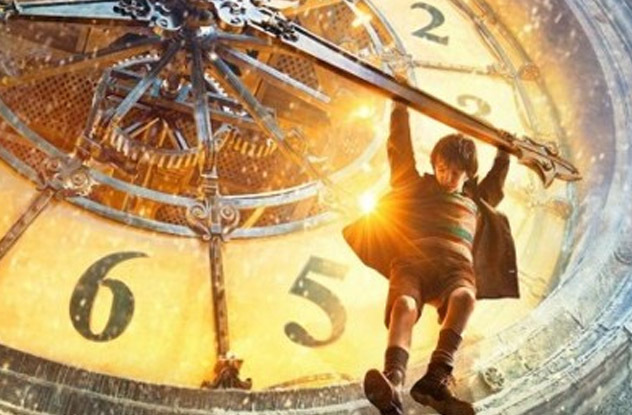 Rent Hugo at Amazon.com! Born in 1809, Louis Victor Leborgne struggled with epilepsy for years before things got even worse. At the age of 30, Leborgne lost the ability to speak. He could say just one syllable: “tan.” If you asked for his name, he’d say, “Tan tan.” If you asked him his favorite food, he’d say, “Tan, tan.” If you asked him the time, he’d say “Tan tan,” but he’d show you the correct time using his fingers. Louis Leborgne wasn’t stupid. He just couldn’t talk. 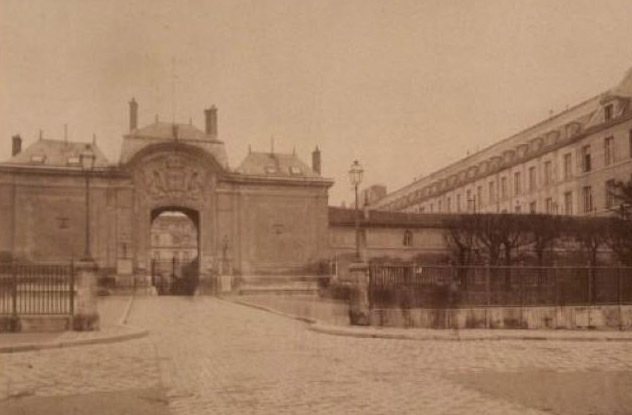 Unable to communicate, Leborgne checked in to a Parisian hospital, where he spent the next 21 years of his life. He morphed into a rather disagreeable person. He’d monosyllabically argue with staff and even steal on occasion. If Leborgne got especially angry, he could toss around a few swear words, though he could never curse when calm and composed. Things got worse when his right arm and leg suddenly became paralyzed. Frustrated, Leborgne stayed in bed for seven years, and in 1861, he developed a horrible case of gangrene in his right side. Hoping to save Leborgne, the hospital brought in surgeon Paul Broca. The operation came too late, and Lebornge died on April 17, aged 51. However, his brain still had an important part to play in the world of neuroscience. After examining Leborgne’s brain, Broca discovered a nasty lesion in the frontal area of the left hemisphere, a region later dubbed Broca’s area. After performing additional biopsies on similar patients, the doctor knew he was on to something big. For a while, scientists had been debating whether individual parts of the brain controlled specific functions. Now, Broca had proof that the front left hemisphere was responsible for language. It also seemed the area was divided into multiple regions serving different functions, like language production and language comprehension. That explained why Leborgne could understand as many words as anyone else though he could only pronounce one. Broca was right on the money, and his discovery revolutionized neurology. Leborgne’s brain now floats in a jar at the Musee Dupuytren in Paris, where anyone can come and visit it. Early in 2014, a four-month-old Maryland baby made headlines thanks to a rather unusual brain tumor. During an operation, surgeons found the baby had a craniopharyngioma, a growth created by the same cells that make our teeth. There were actual teeth growing in the baby’s brain. Doctors safely removed the toothy tumor, but this wasn’t the first case of its kind. In 2008, Colorado doctors discovered Tiffinie Esquibel’s unborn baby Sam was suffering from a brain tumor. After inducing labor, the doctors took Sam into surgery, and what happened next sounds like a scene from a horror movie. When Dr. Paul Grabb cut open the tumor, a human foot popped out of Sam’s head. When the surgeons got over their shock, they dug a little deeper and actually found a hand and even a thigh. Most doctors believe Sam was suffering from a teratoma, a tumor that often produces creepy body parts in places they don’t belong. As awful as that sounds, it’s way more comforting than the other theory doctors considered. A few suspected Sam might have a condition known as fetus in fetu, meaning he might have absorbed a twin in the womb, and his sibling was feeding off Sam like a human parasite. “Mr. B” is a 59-year-old Dutchman who’s battled severe OCD for 40 years. Desperate for a cure, he agreed to try deep brain stimulation, a treatment involving surgical implants that zap the brain with electric currents. Just as Mr. B had hoped, the shock therapy worked, greatly reducing his OCD, depression, and anxiety. However, the treatment had a really weird side effect. 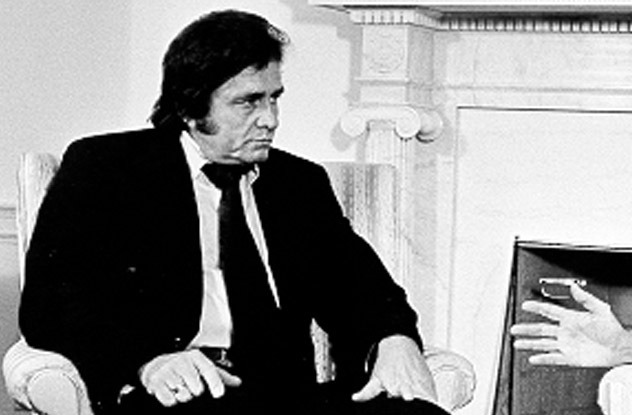 It turned him into the world’s biggest Johnny Cash fan. Before the surgery, Mr. B was a casual music listener who liked Dutch music, the Beatles, and the Rolling Stones. But after the treatment, Mr. B bought every Johnny Cash CD and DVD he could get his hands on. He won’t listen to anything else. Scientists know the implants are responsible because every time their batteries start to die, Mr. B stops listening to his Johnny Cash albums. Yet as soon as doctors recharge the implants, he starts walking the line again, devoting himself solely to the Man in Black. Italian physician Ignazio Roiter married into an old Venetian family, but unbeknownst to the good doctor, there was something horrifying about the clan’s history. Roiter’s first glimpse of the familial terror came in 1973, when his wife’s aunt developed an inexplicable sickness. All of a sudden, she couldn’t fall asleep. Soon, she was stuck in an agonizing limbo between unconsciousness and waking life. Completely exhausted but unable to rest, she lost the ability to walk and gave up on conversation until she died a year later. In 1979, another aunt died of the same mysterious disease. Suddenly, someone remembered an old grandfather who’d passed away under similar circumstances. Curious, Roiter scoured records at the local church and nearby mental asylum. After finding multiple instances of relatives dying sleepless deaths, he was convinced a genetic disease was at work. And when an uncle named Silvano died of fatigue in 1984, Roiter got a chance to find out for sure. Roiter took the man’s brain to two American specialists. After analyzing the organ, Dr. Pierluigi Gambetti found the brain was full of tiny holes. According to a second doctor named Stanley Prusiner, a mutant gene had activated a group of misinformed proteins called prions. These rogue molecules took on virus characteristics and started infecting other proteins, turning the brain into a war zone and shutting down important bodily functions like sleep. There’s no cure for fatal familial insomnia. If that mutant gene activates the abnormal proteins, the carrier is doomed to a sleepless haze. As of 2010, scientists have found at least 40 families battling this illness. Until scientists do cure the disorder, people like Roiter’s relatives will never rest—not until that final big sleep. Nolan Moore would dance and be merry, his life would be a ding-a-derry, if he only had a brain. If you want, you can follow/friend him on Facebook or send him an email.